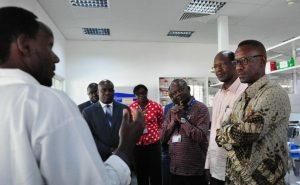 A high level delegation from Tanzania’s Ministry of Foreign Affairs and International Cooperation toured IITA in its Eastern Africa hub in Dar es Salaam to better understand the institute and its activities in the country. 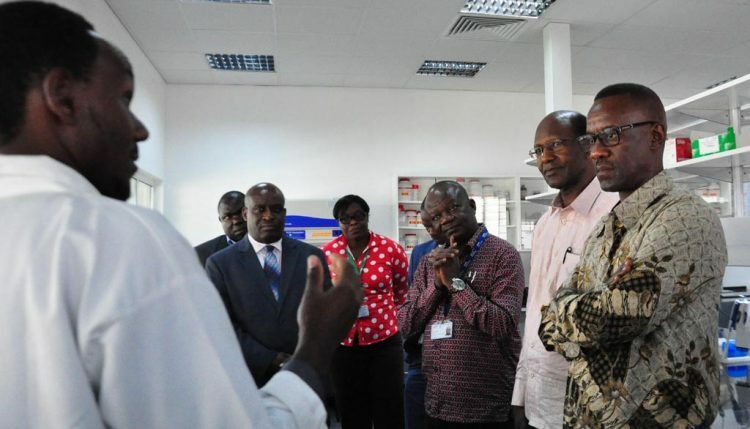 The team from Foreign Affairs Officials accompanied by staff at the hub on a tour of the laboratories. The delegation was led by Ambassador Celestin Joseph Mushy—Director, Department of Multilateral Cooperation and Ambassador Baraka Luvanda—Director of the Legal Affairs Unit, and other officials from the ministry. The team was received by IITA staff led by Victor Manyong, IITA Director for Eastern Africa. They briefed the visiting team on their research activities in Tanzania and also took them on a tour of the facilities including the laboratory services. They particularly hailed aflasafe, a biocontrol technology IITA was developing for Tanzania that can sustainably reduce contamination of aflatoxin—a deadly chemical produced by fungi—on key staple crops. This was very much needed for a country like Tanzania especially following the death of five people and many others hospitalized after consuming aflatoxin-contaminated maize. SEMEAR wins 3rd place at the international Feed the Future photo contest!